Musician Showcase: DC Swing! presents "Jazzin' & Swingin' on Broadway!" Local swing and jazz band DC Swing! 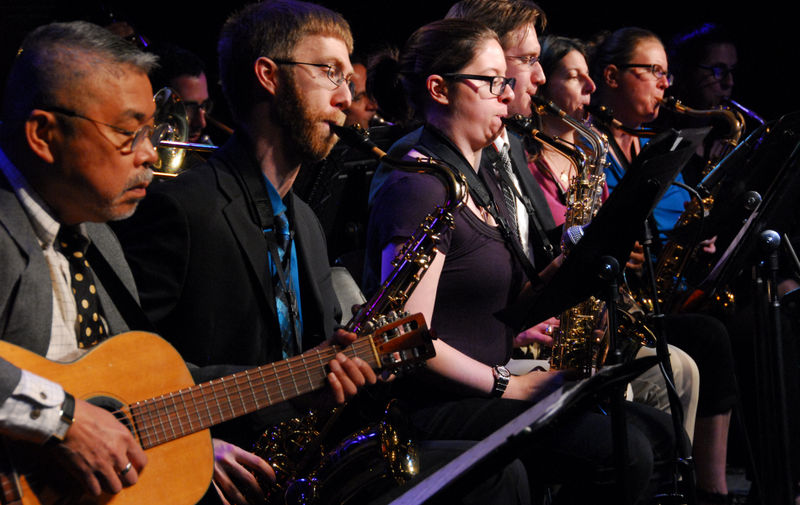 presents "Jazzin' & Swingin' on Broadway!," a performance of jazz twists on big broadway hits for all to enjoy. DC Swing! is a member of D.C.'s Different Drummers, a lesbian, gay, bisexual, and transgender music organization welcoming ALL musicians as it fosters pride, inclusivity, and engagement with the greater Washington, D.C. region through music. The group performs at numerous venues in the National Capital Region, including in recent years at the Capital Hill Arts Workshop, DC’s Capital Pride Festival, U Street’s Twins Jazz, Eastern Market’s Mr. Henry’s, and Old Town Alexandria’s Torpedo Factory, along with other events, swing dances, and holiday concerts held in conjunction with DCDD's Capital Pride Symphonic Band.